EXCERPT FROM THIS ARTICLE: Two prominent Muslims came to witness the event: CAIR-Iowa chapter president Abshir Omar and State Rep. Ako Abdul-Samad. Omar is a Somali Muslim refugee and member of the Democratic Socialists of America who was supported by CAIR in his unsuccessful 2016 bid for Des Moines City Council. Abdul-Samad has been praised by CAIR, and is also a current member of the Black Panther Party’s Des Moines chapter. Understanding the Threat TV launched the first episode of a new weekly 30 minute online TV show on WVWTV.com. The show is free for viewers at this online site. 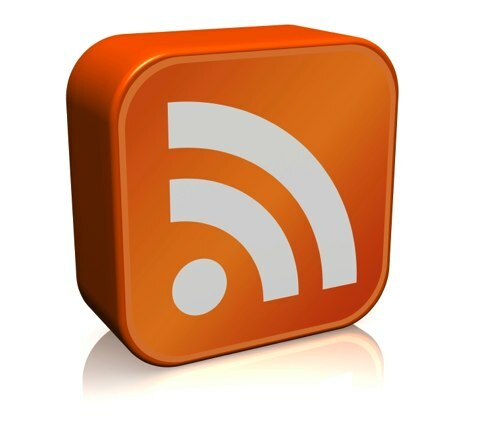 The first episode can be viewed online HERE. The purpose of the show is to discuss the threat of the Islamic Movement in the United States and to walk viewers through HOW the Muslim Brotherhood gained so much control inside the U.S. and its society. The series includes 12 episodes. Please watch and share this with others. UTT would like to thank WorldviewWeekend.com for their support of UTT’s radio and TV programs. The mission is to spread the word about the threats American faces through all mediums possible. The 30 minute UTT Radio Show airs each Monday and remains online at www.WorldviewRadio.com [click link to John Guandolo] for one week before a new episode is uploaded. Join UTT as we take the fight to the enemy and put freedom on the offensive where it belongs. WILL SAUDI ARABIA LEAD ISLAMIC MILITARY FORCES AGAINST JIHADIS OR US ? Will Saudi Arabia Lead Islamic Military Forces Against Jihadis or Us? Sharia is always the filter through which the un-Islamic world must understand leaders of the Islamic world. 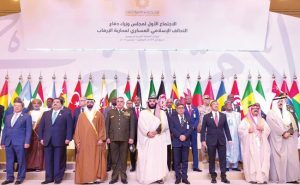 Saudi Crown Prince Mohammed bin Salman bin Abdulaziz Al Saud opened the inaugural meeting of the Islamic Military Counter Terrorism Coalition (IMCTC) – made up of Defense Ministers from 41 muslim countries – on Sunday November 26. 2017. The focus of the meeting was to deal with “terrorism” in muslim countries. Many in the West are “wondering” if this Prince will be the one muslim leader to “transform” Islam into the peaceful, love-thy-neighbor, utopian Islam Western leaders are sure exists. When read in its proper context, the idea the Saudi Prince, or any other credible leader of a sharia-adherent Islamic nation, would want to do anything other than what Islam/sharia commands them to do is folly. Will Islamic nations join together to militarily confront the jihadis of the Islamic State and Al Qaeda or the “terrorists” of the non-muslim world? 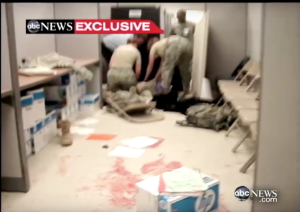 Special Report: What is the Most Viable Assessment of the Las Vegas Attack? This video interview of John Guandolo is, in addition to discussing the Las Vegas attack, an in-depth look at all the various Islamic societies in the United States and how so many government officials are in denial about the Islamic Doctrine and this threat. While all eyes were on the University of California, Berkeley, Thursday night to see if radical leftists could control their anger over the mere presence of a conservative speaker on campus, it was a gathering in a tiny Iowa town that attracted the attention of one of the left’s key allies – the Council on American-Islamic Relations. CAIR, which was named an unindicted co-conspirator in a massive terror-financing trial held in 2008, crashed a meeting in Oakland, Iowa – population 1,500 in rural Pottawattamie County. Why such concern for what’s going on in a place so far off the beaten path? Actually, it’s not unusual, not in post-Trump America. CAIR has made it a top priority in the wake of President Trump’s surprising election victory to show up, challenge and cause confusion wherever a factual discussion of Islam is being held, say experts on the organization. CAIR is worried that a nation under the spell of Barack Obama for eight years may start to wake up to some startling facts and discover that Islam has become the government-favored religion, the only religion Americans are not allowed to criticize. But if Oakland, Iowa, is any indication, CAIR’s strategy of defending Islam against Americans exercising their First Amendment rights doesn’t play as well in rural America as it does in the big cities. In fact, it may even be backfiring. The speakers who had CAIR worked up into a frenzy were John Guandolo and Chris Gaubatz, partners in Understanding the Threat, a consulting firm that educates the public, local law enforcement and churches about the threat of latent jihadist cells in America – cells similar to those that have been activated and carried out horrific attacks over the past two years in Paris, London, Brussels, Barcelona and other European cities. The two men were set to appear Thursday in a series of meetings in Nebraska and Iowa, one of which had to be canceled due to the sponsor’s fear of protesters showing up and scaring away his customers at a local restaurant. If a Special Forces soldier was captured in a foreign land with which America was at war, would our enemy consider him a “lone wolf” disconnected from any “wider plot” or larger army? And so it goes. Nearly 16 years after 9/11 and with all of America’s technology and bloated federal intelligence and law enforcement resources, there is not one ounce of logic nor an understanding of the threat. 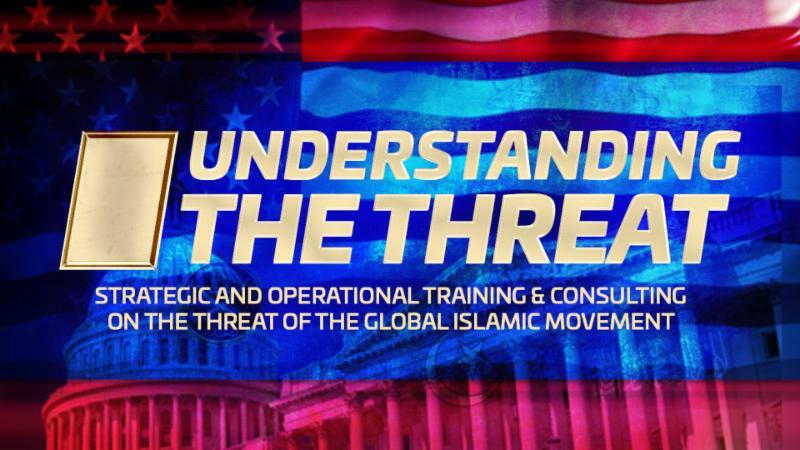 Earlier this week, UTT published the first in a series of articles about sharia (Islamic law) entitled “Understanding the Threat” which amplified the fact that sharia is the focal point and driving force behind everything jihadis across the globe are doing. 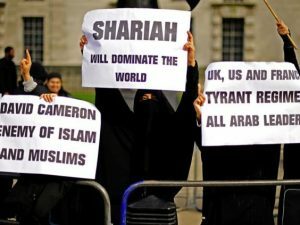 Today, we will breakdown what sharia actually is and its origins. There are two sources of sharia: the Koran and the Sunnah. According to Islam, the Koran is the “uncreated word of Allah,” who is the Islamic god, and the contents of the Koran were revealed to the Prophet Mohammad between the years 610 A.D. and 632 A.D. in the Arabian peninsula through an angel. The Koran has 114 chapters or “suras” which are arranged in no particular order. They are generally arranged by size from largest to smallest. However, the first chapter is approximately the smallest, and the sizes of the chapter vary so this is not a perfect rule. The Islamic scholars have authoritatively listed the chapters of the Koran in chronological order. This is very important because Allah said in the Koran (2:106, 16:101) that whatever comes chronologically last overrules anything that comes before it. This is called “abrogation.” Allah revealed his message to Mohammad progressively over time. By the time it was all revealed, what came last was the most important and overrules anything that was said earlier. So, for instance “Let there be no compulsion in religion” (Koran 2:256) is overruled or abrogated by “Whoever seeks a religion other than Islam will never have it accepted of him” (Koran 3:85) which is why we get “Take not the Jews and the Christians as your friends…” (Koran 5:51). Chapter 5 in the Koran is the last chronologically to speak about relations between Muslim and non-Muslims. Chapter 9 is the last to discuss jihad. This new special edition of The Glazov Gang was joined by John Guandolo, President ofUnderstanding the Threat, and Chris Gaubatz, Vice President of Understanding The Threat.